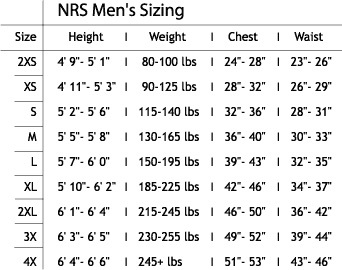 NRS HydroSkin® .5 pants are unmatched in fit and range of motion. 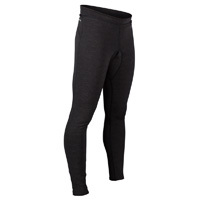 They're warm when worn alone, and they stretch to fit comfortably over another thermal layer when it's really cold. It's the most comfortable wetsuit going. High-cut waist with draw cord provides security and will prevent ride-down in the back when you're sitting. The 0.5 mm of closed cell neoprene, with its titanium adhesive gives great body heat retention.